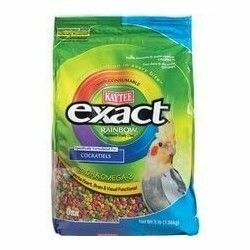 By buying this product you can collect up to 1 point . Your cart will total 1 point that can be converted into a voucher of 0,20 € . 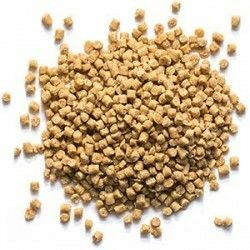 Harrison Coarse High Energy is a feed full for birds certificate without pesticides, chemical preservatives and made with organic ingredients. Special needs: For birds when they are moulting, overweight, underweight, very active, in houses in cold climate, recovering from illness or affected in the kidneys or the liver. - Papilleros: After completion of the feeding stage with porridge, to manage High Power with a minimum of 6-9 months. - Breeding birds: Managing the formula of High Energy at least 1 or 2 months before the period of reproduction until the chickens are "weaned" or until they have passed at least 6 months before going back to the formula of maintenance (if the species or the bird requires it). The amount of fruits and vegetables (preferably certified organic) can increase until the chicks to eat by themselves. Composition: sunflower Seeds without shell, green*, barley Hulless organic*, organic farming soya* peanuts, green* peas green* lentils, green*, yellow corn and green*, ground rice green*, toasted oatmeal organic*, groats organic*, plántago ecological*, alfalfa, dried organic*, calcium carbonate, spirulina*, clay mineral Montmorillonite*, seaweed dried, vitamin E supplement, sea salt, vitamin A supplement, vitamin D3 supplement, niacin, vitamin B12, riboflavin supplement, d-calcium pantothenate, pyridoxine hydrochloride, D-biotin, thiamine mononitrate, sodium selenite. 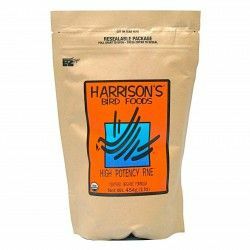 Harrison's fine High-Energy (High Potency Superfine) is indicated for small birds such as canaries, parakeets, forpus, goldfinches, greenfinches, cardinals, diamonds, widows, nightingales (combined with diet for omnivores), eurasian bullfinch, etc. Nutribird B 14 is a think maintenance complete and balanced for small parakeets and other parrots. Also indicated for lovebirds, neophemas and forpus. 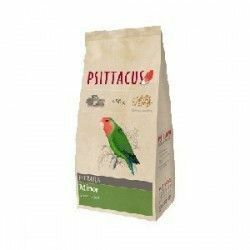 Are granulated with a composition scientifically proven cereal selected, fresh fruit and 50% millet. 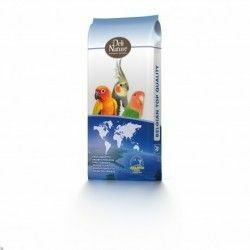 Versele Laga Nutribird Parrot G14 Tropical is a think for birds of a Premium quality, widely recommended for parakeets and large parrots. The food is formulated under the strictest quality controls to obtain a formulation based on cereals, peanuts and fresh fruit. 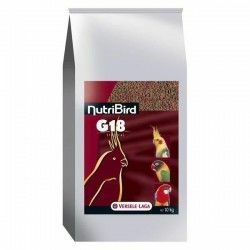 NutriBird G 14 Original is a feed (Granulated extruded) maintenance complete and balanced for large parakeets and parrots. Bipal Plus is a natural product, a biological, vitamin, mineral and amino acid, necessary for the health and the good balance in the nutrition of agapornis, nymphs, and other types of psitácidas covering naturally that deficiency. 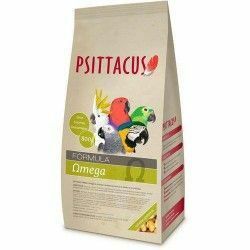 Food of first quality for parakeets, lovebirds, and small psitácidas. New formats that are more comfortable and practical. 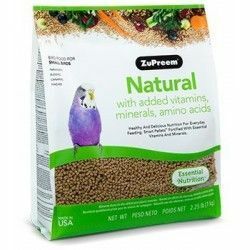 Zupreem Natural Multigrain with fresh vegetables and assorted fruit.. For customers who prefer a more natural diet without added colors.ZuPreem® Natural is formulated to provide a nutritionally balanced and complete in each pellet. Zupreem Natural Multigrain with fresh vegetables and assorted fruit.. For customers who prefer a diet more natural with no added colors.ZuPreem® Natural is formulated to provide a nutritionally balanced and complete in each pellet. I think breeding complete and balanced for Budgies Large. Granulated brown with cereal selected, fresh fruit and peanuts. 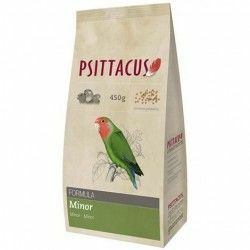 Pienos Extruded Pretty Bird Mini suitable for small parrots small as cocorita and small, and inseparable, and all the birds of granite of small and medium-sized such as canaries, carduelis, exotic birds, and spinus. Pure Fun™ is a blend of Premium vegetables, seeds, fruits and pellets fruits FruitBlend ® to activate and enhance in sensory terms the diet of the bird. 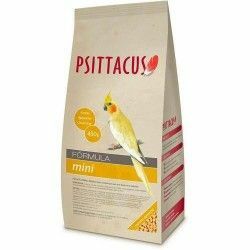 Daily food of high quality for birds ornamental base of pellets and fruits. Small, colorful nuggets of various shapes and flavors, that will make the delight of the nymphs, parakeets and peqeños parrots. Complenta your aliemntación with this, I think, designed specifically for them. I think breeding complete and balanced for large parakeets. Paint colors with cereal selected, fresh fruit and peanuts. PALMAR LOGISTICA SL has been a beneficiary of the European Regional Development Fund whose objective is to improve the competitiveness of SMEs and thanks to which has launched an International Digital Marketing Plan with the aim of improving its online positioning in foreign markets during the year 2017 For this it has had the support of the XPANDE DIGITAL Program of the Chamber of Commerce of Toledo.